In 2014, at our last letter writing dinner for the Puerto Rican political prisoners, we wrote letters to Norberto González Claudio and Oscar López Rivera. 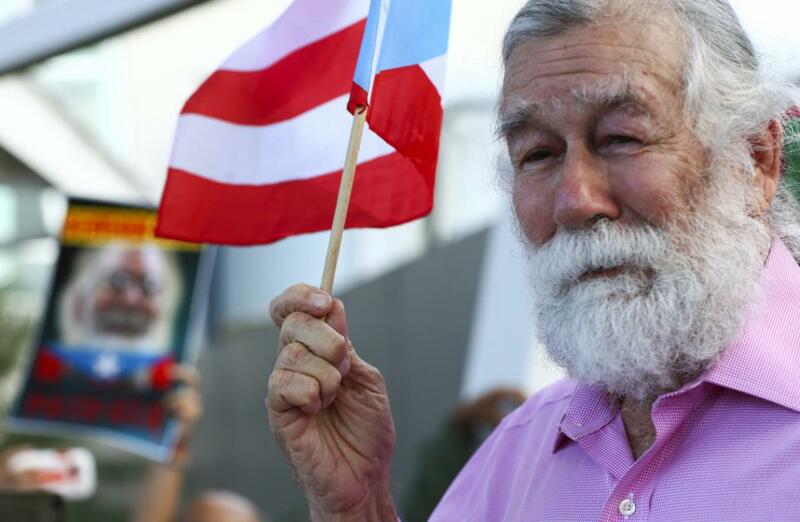 Since then, Norberto was released from prison and returned to Puerto Rico leaving Oscar as the last remaining Puerto Rican political prisoner. On May 30th to mark the anniversary of Oscar’s 34th year in prison, and to demand his immediate release, a broad and vocal contingent of community organizations, churches, labor groups and more are organizing a huge rally and march. So, in a lead up to this event, NYC ABC is focusing on Oscar for our upcoming political prisoner letter-writing dinner. Oscar López Rivera, regarded as a member of the FALN and a champion in the fight for Puerto Rican independence, was convicted and sentenced to 55 years in federal prison for seditious conspiracy, use of force to commit robbery, interstate transportation of firearms, and conspiracy to transport explosives. In 1988 he was sentenced to an additional 15 years in prison for allegedly conspiring to escape from prison. In 1999, clemency was offered to Oscar and 13 others but he refused, citing that it was not offered to his two co-defendants (Carlos and Haydee Beltran Torres). Oscar has been denied parole but continues to speak out and write on salient topics. We will be joined by Benjamin Ramos, of ProLibertad who will provide information about Oscar, recent events in Puerto Rico, and the struggle for a free and independent Puerto Rico. Welcome home fund for Kevin Chianella Illustrated Guide Version 10.3 Now Uploaded!